The title (likely chosen by an editor at The Guardian) is a bit disturbing. But the article itself is clear and insightful. ... The company [ Genomic Prediction ] says it is only offering such testing to spot embryos with an IQ low enough to be classed as a disability, and won’t conduct analyses for high IQ. ... The development must be set, too, against what is already possible and permitted in IVF embryo screening. The procedure called pre-implantation genetic diagnosis (PGD) involves extracting cells from embryos at a very early stage and “reading” their genomes before choosing which to implant. It has been enabled by rapid advances in genome-sequencing technology, making the process fast and relatively cheap. ... before we get too indignant about the horrors of designer babies, bear in mind that already we permit, even in the UK, prenatal screening for Down’s syndrome, a disability that produces low to moderate intellectual disability. It’s not easy to make a moral or philosophical case that the screening offered by Genomic Prediction for low IQ is any different. There may be more uncertainty but, given not all IVF embryos will be implanted anyway, can we object to tipping the scales? And how can we condone efforts to improve your child’s intelligence after birth but not before? The questions are complicated. How to balance individual rights against what is good for society as a whole? When does avoidance of disease and disability shade into enhancement? Should society be more receptive to disability rather than seeing it as something to be eradicated? When does choice become tyranny? 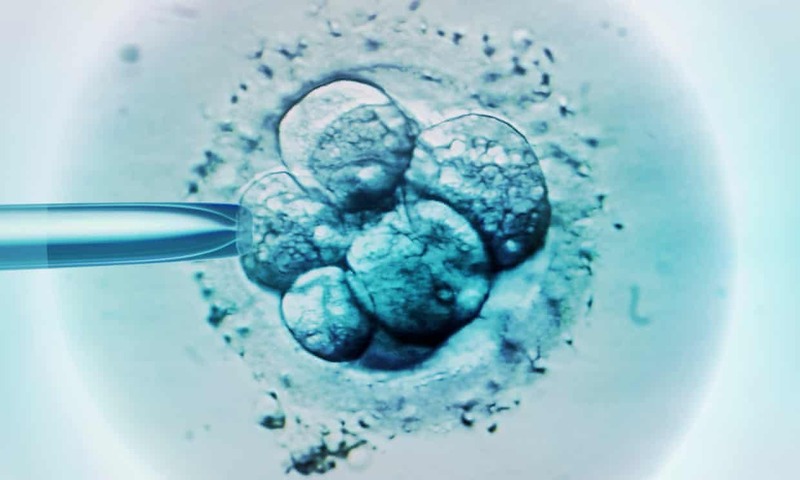 In the UK we are extraordinarily lucky to have the HFEA [Human Fertilisation and Embryology Authority], which frames binding regulation after careful deliberation and acts as a brake so the technology does not outrun the debate. “Embryo selection needs robust regulation that society can be confident in,” says Ewan Birney, director of the European Bioinformatics Institute in Cambridge. Leaving a matter such as this to unregulated market forces is dangerous. The writer is Philip Ball, a longtime editor at Nature and PhD in Physics. There is a formal bioethics position on this general subject, recently updated in 2018, written by the Ethics Committee of the American Society for Reproductive Medicine. PGD for adult-onset conditions is ethically justified when the condition is serious and no safe, effective interventions are available. It is ethically allowed for conditions of lesser severity or penetrance. The Committee strongly recommends that an experienced genetic counselor play a major role in counseling patients considering such procedures. This Economist article on Genomic Prediction has been in waiting for weeks, to appear in The World in 2019 special issue. I spent a couple hours briefing their science team on what is coming in AI and genomics -- I would guess there will be more coverage of polygenic scores and health care in the future. See also this New Scientist article on GP. 2019 may be the Year of the Designer Baby, if journos are to be believed ;-) Of course, this is sensationalism. It is more accurate to say that 2019 will see the first deployment of advanced genetic tests which can be used to screen against complex disease and health risks. Already today ~1 million IVF embryos per year are screened worldwide using less sophisticated genetic tests for single gene disease mutations and chromosomal abnormality. In 2019, ... [ GP clients ] will have an opportunity to give their offspring a greater chance of living a long and healthy life. 1. Of course babies can't be "designed" because genes don't really affect anything -- we're all products of our environment! 2. Gulp, even if genes do affect things it's much too complicated to ever figure out! 3. Anyone who wants to use this technology (hmm... it works) needs to tread carefully, and to seriously consider the ethical issues.